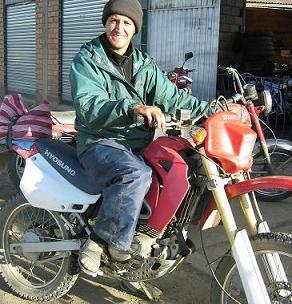 A korean knockoff of a Suzuki LT 125 purchased used in Lima, Peru for $1200. In Brasil it is sold under the brand name Kasinski. Estimated distances based on average fuel consumption of 108 kpg. Estimated distances before overhaul based on average fuel consumption of 29 kpl.